Have you begun to notice a few fine lines and wrinkles? If you have, you are not alone! 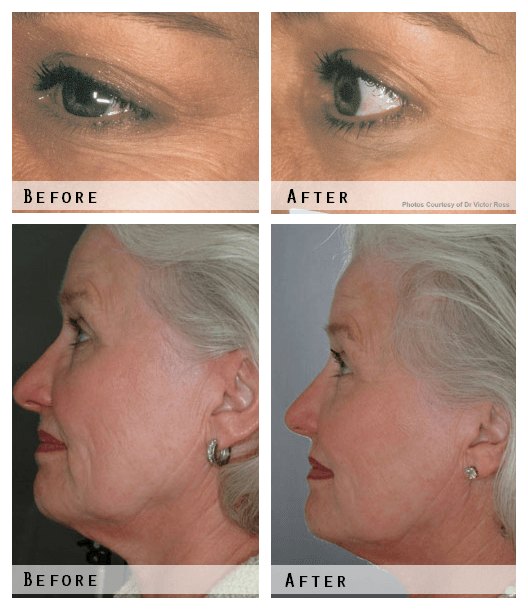 Wrinkle ‘therapy’ is one of the leading cosmetic treatments in America*. Don’t be self conscious of showing your age, you don’t have to! Brush aside your worries and know that Ellan Laser MedSpa has a treatment that is just right for you! The laser uses its light energy to penetrate deep into the skin tissue. This heats the skin causing remodeling and regeneration of collagen (collagen gives skin that smooth, young look). Your older skin is replaced with new, younger, healthier looking skin*. Wrinkles are caused by different factors including exposure to the elements, genetics and age. The number of treatments needed will depend upon the severity of the treatment area. Contact Ellan Laser MedSpa for a free consultation to find out which treatment is right for you. Most patients see results in as little as 4 to 6 treatments*. Depending on your condition and goals, Dr. Burghli may recommend other treatments which complement your results. These include Photo Skin Rejuvenation, Fractional Skin Rejuvenation, or HydraFacial MD. No-Interest Financing. Click Here to Apply. Up to 20% Off Laser Hair Removal Quantity Discount for same body part. I've been coming here for years. Dr. Burghli and her staff are amazing!! Professional and caring, they did everyrhing in their power to make sure my botox and laser hair removal treatments were smooth, painless and the outcomes were what I was looking for! I would never go anywhere else! Thank you!! I can't say enough about Ellan. Dr. Burghli is kind, informative and honest. The facility is elegant and relaxing. The staff do their best to make you comfortable and are always pleasant. I have had Zerona, skin tightening, botox and fillers done by Dr. Burghli with awesome results! I would highly recommend coming to Ellan! Visiting Dr. Burghli was one of the best decisions I’ve ever made! She has been doing my Botox and fillers for the past few years. I couldn’t be happier with my results! I always look natural and well rested. Ellan has a wonderful staff and the experience from start to finish is amazing! I did laser hair removal and botox. The staff and Dr are extremely kind and reassuring, professional. All my appointments went so smoothly. I can't believe i waited so long to do this! I get laser hair removal done with Dr. Burghli and love my results. Everyone is so professional and friendly. I'm a mom and as busy as this office is, I really appreciate how they see everyone on time. I highly recommend Dr. Burghli and her staff! I went in for a laser hair removal treatment last week and loved everything about my experience. The office was extremely clean and everyone was professional. I've had good experiences at other places, but Ellan and Dr. Burghli definitely exceeded my expectations. I have already sent two of my friends to the office. I have been to Ellan a few times in the past few years. 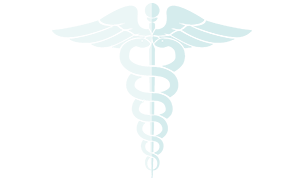 The doctor and staff are both professional and honest in their dealings. The quality of products used are exactly what you want them to be - top quality. I am pleased to have found a place that is consistently clean and in the most convenient location. I would definitely recommend coming here! The staff and doctor are thorough, professional and caring. Everyone is friendly and make you feel very comfortable. The facility is just gorgeous. Since going to Ellan I am more confident in my appearance. I really do feel genuinely cared about by everyone. I trust the professional judgment of Dr. Burghli who is always very honest. She clearly listens to your concerns and makes thoughtful recommendations. I highly recommend Ellan. I've been seeing Dr. Burghli for about an year now for botox. I believe her prices are the fairest around (before visiting her, I price compared vs. plastic surgeons in town), and she really takes the time to hear your concerns, and thoughtfully answer any questions you may have. I see her every 3-4 months depending on how stressed work makes me. I've recommended Dr. Burghli several times over to family and friends, and will continue going to her for as long as necessary! If you're unsure for any reason, at the very least go in for a free consultation. Amazing Service and Amazing Results! I was looking for someplace to get botox and fillers done. I came across Ellan on the internet and read so many good reviews I decided to try them out. The staff is extremely friendly and helpful. When I met with Dr.Burghli, she answered all of my questions and explained everything in detail. She was extremely knowledgeable and made me feel comfortable (I am always a little nervous before getting injections). I got the treatment done and left the office feeling and looking great! I recommend this place to everyone - you will not be disappointed. I have been seeing Dr. Burghli for over 6 years. I first went for laser hair removal. I was referred by a friend. I found the office to be exceptionally clean, well maintained, and spa-like. The laser hair removal went very well and I was pleased with the results.